This article gives an overview of Histoire Parallèle/Die Woche vor 50 Jahren, a history programme that stands out through its longevity and format. Discussions in this article are based on archive material and statistical data from Institut National de l’Audiovisuel, Arte and Deutsches Rundfunk Archiv, an interview with Marc Ferro, the presenter of the show, as well as press material from the time. Moving pictures and photographs shape quite decisively the individual and collective perception of reported historical events, independent of their role as genuine visual records or reconstructed fictional narratives. In any case, they provide clues to understand the past but also the present.2 In this respect Histoire parallèle/Die Woche vor 50 Jahren has a unique place among European history shows to date. Its longevity is certainly the most evident reason justifying such an assertion; the diversity of the broadcast newsreel material, the applied methodology and the competence of the invited guests are further factors to be mentioned. The show was part of the initial programming of experimental TV channel La SEPT (Société européenne de programmes de télévision) in October 1989. The show aired weekly for 12 years competing with news and variety shows on Saturdays in prime time.3 It rapidly found its audience before switching over to ARTE (Association Relative à la Télévision Européenne) in 1992. There, it ran until September 1st 2001. Its beginning, development and end must be contextualized in the French audio-visual landscape.4 Histoire Parallèle responded perfectly to one of the main objectives assigned to ARTE by the French and German supervisory authorities: furthering the reconciliation between France and Germany by producing documentaries dealing with a burdensome past.5 Since the show was noticeably based on precepts established by diverse members of the École des Annales, my paper will first focus on its presenter and expert, Marc Ferro, on his career and crucial contribution to how broadcast and audio-visual media came to be considered, in France, as legitimate historical material. Histoire Parallèle was founded on three principles: parallelism, integrality and crossed views.6 The originality of this concept as well as insights into the production and reception of the show will be discussed in this paper. Last, but not least, this study also intends to shed some light on Histoire Parallèle’s evolution after 1995, until the supervisors of ARTE, a channel often considered as ‘a sort of European identity contractor,’7 decided to bring the program to an end. in order to achieve this historical fresco (30 ans d’histoire), historians were hired who gave for the period 1914–1944 an explanation comprising political, diplomatic, military, economic history as well as a history of ideas. Interviews of witnesses had been deliberately left aside. 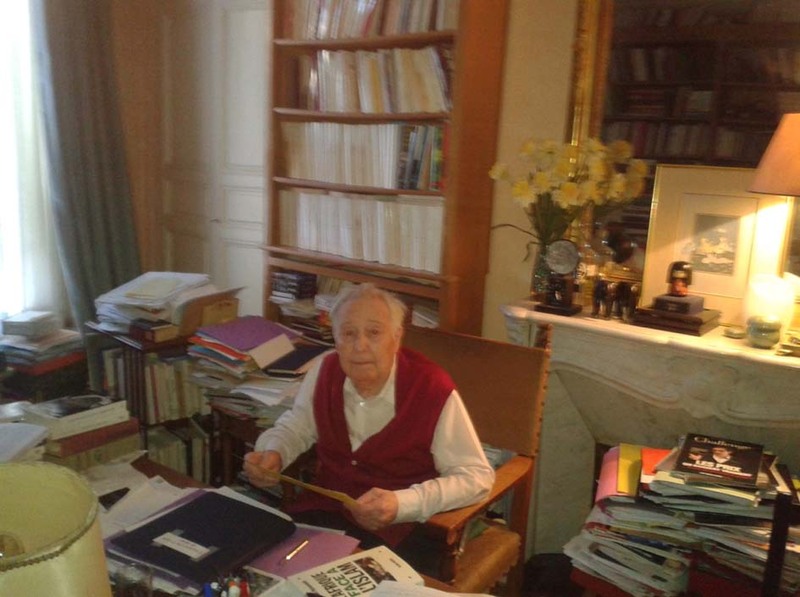 It was already a French-German coproduction made under the sign of reconciliation. 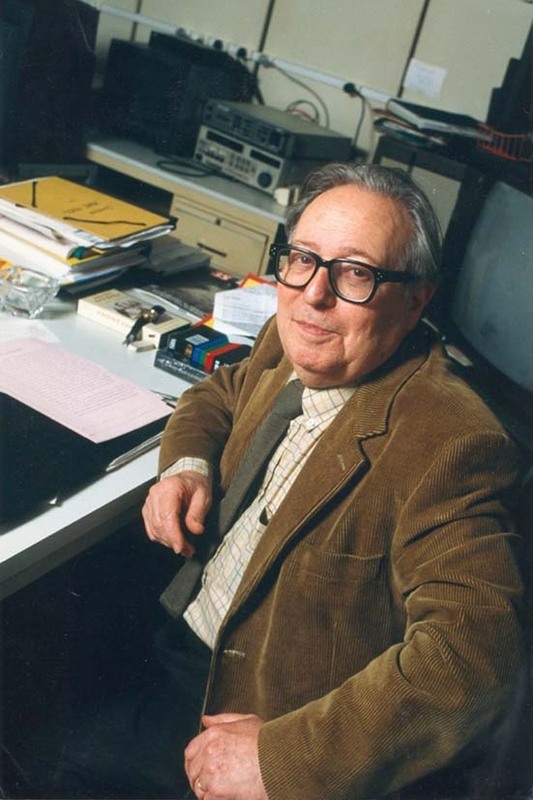 The documentary was planned to be aired simultaneously in both countries.12 Marc Ferro, who had no background or interest in cinema at that time, made a fundamental though unexpected discovery in the Bundesarchiv in Koblenz. While checking archive reels dealing with his topic, he discovered moving pictures showing the welcoming of the troops back to Berlin on November 11th 1918. Marc Ferro was already a famous and prestigious scholar before Histoire Parallèle.14 He belonged to the movement called Nouvelle histoire, which aimed to contribute to a history of mentalities by analysing collective representations as well as the mental structures of societies.15 Members of the Nouvelle histoire movement sought to distance themselves from the traditional ways of writing history, which focused on spectacular events and ‘great men’. Selected newsreels had to be shown in full with the original comments and the pertinent subtitles for the French-German audience of ARTE. Every week the public could only see the newsreel material originally released in film theatres exactly 50 years before. 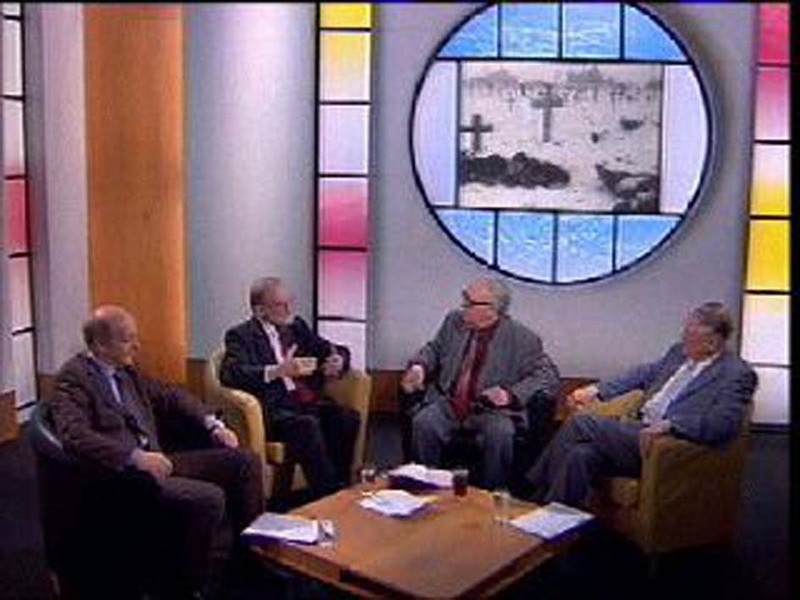 Consequently, newsreels of the second week of February 1942 went on air on Saturday evening during the second week of February 1992. The show was the result of a two-step production process. Original newsreel material produced simultaneously in the combatant nations telling different versions of the same event was broadcast, respecting a notion of balanced duration as much as possible. Sometimes the selected newsreels were shorter. In such a case their number would be increased and the predominant paired configuration would be replaced by a version with three or four newsreels, each from a different country.24 A few months in advance, Marc Ferro would gather information sheets from the companies holding ownership of the newsreels that seemed interesting for a particular week. Due to time pressure, he relied on his expertise as a historian as well as on his experience as a TV documentary producer and chose the show’s material after having only read these information sheets. The show lasted a total of 55 minutes. 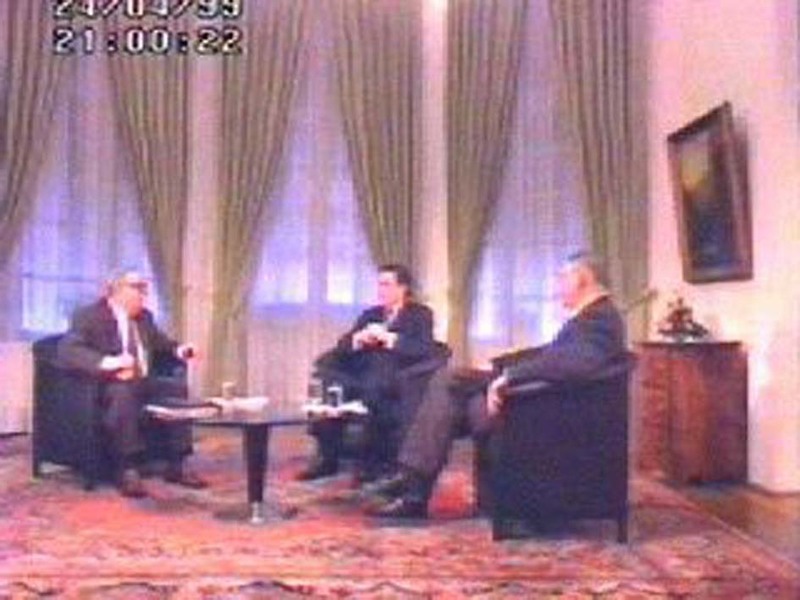 Once relevant material was selected, a discussion was organized for the final 10–15 minutes: as often as possible, considering the budget at their disposal, a specialist on the period or on the question addressed by the broadcast newsreels was invited to take part in a debate with Marc Ferro. The guest generally received the selected material a couple weeks before the show. The conclusive debate was more than a ritual, it was meant to assist the audience in gaining historical insight into events originally reported in a manner allowing little room for viewer discretion. Fifty years later, it also aimed to help those among the viewers who had witnessed the reported events in their youth to nuance their predominantly memorial approach to the broadcast material. Every week Marc Ferro introduced the programme for a few minutes contextualizing it as part of the general developments of World War II. In doing so, he also targeted potential new viewers watching the show for the first time. It seldom happened that precise hints concerning the selected material were given to the audience. When it happened, these hints generally concerned an aspect of cinematographic aesthetics and not a reported historical fact about which viewers had to develop a personal opinion. In 630 shows, several hundred different guests were invited.26 A great majority of them, more than 75%, were scholars. They were often French, but much more often German, so as to balance Ferro’s continuous presence on the show. British, American, Italian, Russian and Japanese guests were also featured on the set of Histoire Parallèle. 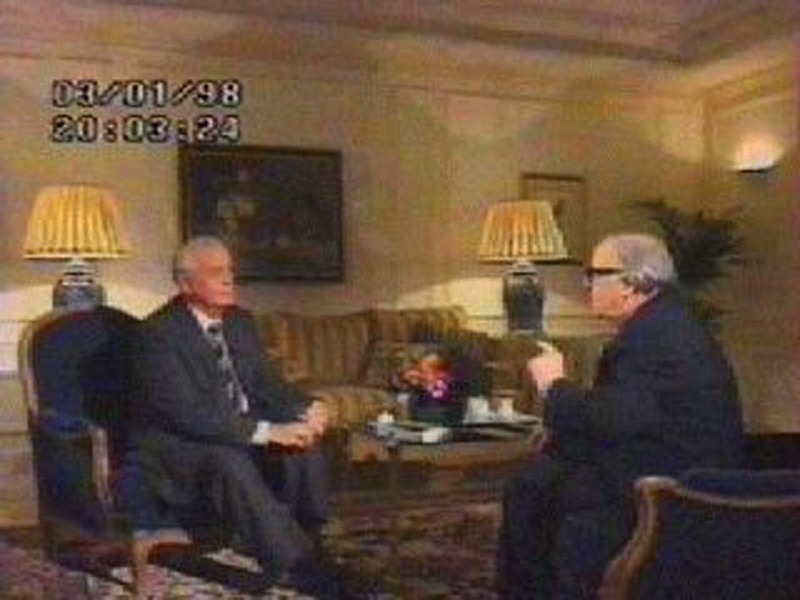 Actors and witnesses of the reported events, prestigious guests like Henry Kissinger, Michal Gorbachev or Gehrhard Schröder also accepted Marc Ferro’s invitation.27 The show took advantage of the attraction that a city like Paris exerts on anyone, including renowned international scholars or elder statesmen. To limit expenditures it was often possible to invite prestigious guests on the set while they were in town for a conference, a book fair or while staying as guest professor at a Parisian university. This was the case for the German professors Von Thadden, Kageneck, Hudemann or the American star professors Paxton and Hoffman. Historically such an initiative made sense. Actually it was this decision that changed it all. From the viewers’ letters, the show’s producers concluded that the public adhered to its editorial choice to give priority to material covering what historian Marc Ferro considered to be the most important events of the week. It did not matter so much if France or Germany were not directly concerned. But if possible, newsreels produced in enemy countries should be shown every week, thus respecting the fundamental configuration of the conflict opposing the Allies to the Axis powers. Of course, this option was partly influenced by the quality of material available on a weekly basis. Consulting the archives at INA, one notes that American and Japanese newsreels logically find their way into the program after Pearl Harbor. The increasingly crucial importance of the Pacific War is perceptible in the evolution of subjects chosen from week to week. Written archives at INA show that newsreels produced by the national news agency of countries liberated from German occupation after 1944 were almost systematically included in the program. This included not only France and Italy, but also Poland, Denmark and the Netherlands. Despite Spain’s official neutrality during World War II, Spanish newsreels produced once the Axis’ defeat seemed likely also found their way into the show. They document the evolution of Franco’s diplomatic strategy after the Red Army’s victory in Stalingrad. Photo 4. Marc Ferro and his guests on the set of Histoire Parallèle during the last show, 01/09/2001. Photo 5. Marc Ferro during interview (11/04/2015). The project was successful enough to last for twelve seasons in a time when history programs were in decline. It targeted neither older generations nor traditionalists lamenting an on-going loss of patriotic values initiated by the counter-revolution of the 1960s. With Histoire Parallèle, history became a subject open to post-modern innovation and not primarily meant to foster patriotism and national identity.